It’s no secret that there are several industries keeping a close eye on your social media accounts Why These 7 Industries Are Spying on Your Social Media Posts Why These 7 Industries Are Spying on Your Social Media Posts Most of your life is probably available on your social media accounts. But do you know who's watching them? These seven industries are keeping a close eye on your posts. Read More . And keeping your social media accounts completely private can be an overwhelming task. But while you can’t stop social networks from knowing a whole lot Facebook Privacy: 25 Things The Social Network Knows About You Facebook Privacy: 25 Things The Social Network Knows About You Facebook knows a surprising amount about us – information we willingly volunteer. From that information you can be slotted into a demographic, your "likes" recorded and relationships monitored. Here are 25 things Facebook knows about... Read More about you, you can at least make sure your content is seen only by those you intend to share it with. To make your Twitter profile private, click on your profile picture and click Settings and privacy. Then go to the Privacy and Safety tab and make sure that Protect My Tweets is checked. Anyone already following you on Twitter will be able to see your tweets, but you will be able to approve future followers. If there are any followers you wish to remove from your list, you can do this by blocking them. Go to their profile, click on the three dots next to the Follow button and click Block @username. The same setting can be found in the official Twitter app by going to your profile and hitting Settings. Android users can tap their profile picture to pull up the menu and go to Settings and privacy. iOS users tap the wrench. Prevent users from tagging you in photos. Keep Twitter from adding your location to your tweets. Delete location information you’ve already shared. Prevent people from finding you using your email address or phone number. Then scroll down to Private account and make sure it is on. With Pinterest, you can’t make your entire profile private. But there are a few things you can do for an entirely private Pinterest experience. First, when creating new boards, you can make them private. The easiest way to do this is to go to your profile (click on your profile picture), and make sure you’re on the Boards tab. Click the large Create Board button, enter the name, and make sure that Secret is toggled on. This way no one can see the board but you. If you want certain Pinterest users to see your private boards, you can invite them. But that means they will also be able to pin items to the board. You can also make existing public boards private by going to your Pinterest Boards page, scrolling to the board you want to make secret, and clicking the Edit button. With Snapchat, you can limit who can contact you and view your stories to just your friends. On your phone, tap the Settings button (the wrench), scroll down to Manage who can contact me, and set it to My Friends. You should also set Manage who can view my story to My Friends. You can create a custom setting for who can view your Snapchat posts and block certain contacts from seeing your stories, too. Like Pinterest, you can’t make your LinkedIn profile completely private — which makes sense for the type of network it is. But you do have access to some pretty robust privacy features. 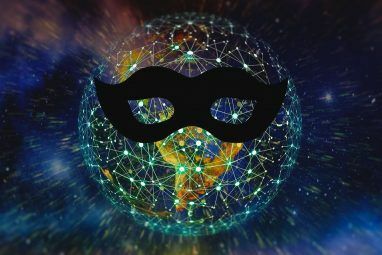 Under Profile Privacy you can make your list of connections private, prevent LinkedIn from sharing your profile edits and notifications with your connections, and choose to browse LinkedIn in private mode. (That means people won’t know when you view their profiles, but you also won’t know who viewed yours.) You can also remove your last name from your profile. The very first option, Edit your public profile, is where you can ensure that people who aren’t on LinkedIn can’t see your profile unless they’re logged in. Open up the setting and make sure that Make my public profile visible to no one is checked. This also means your LinkedIn profile won’t show up on search engines. Alternatively, you can select which parts of your profile can be viewed by anyone. Want your public updates to appear only to connections and followers? Just go to Blocking and Hiding, and select Your Connections from the dropdown menu. And finally, under Job Seeking, you can also toggle the setting Let recruiters know you’re open to opportunities to No. Under Data Privacy and Advertising, you can prevent people from finding your LinkedIn profile with your email address or phone number. And you can prevent LinkedIn from displaying your profile on your employer’s LinkedIn page. 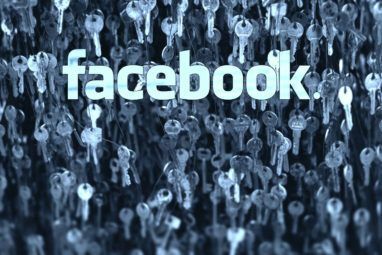 Facebook is probably the most confusing when it comes to figuring out what’s private 4 Vital Facebook Privacy Settings You Should Check Right Now 4 Vital Facebook Privacy Settings You Should Check Right Now Facebook's been changing privacy options again. As usual, the default option is for you to be oversharing your details, so here's what you need to know to set things right. Read More and what’s not. In a browser, go to your Facebook settings page and click on the Privacy tab. Here you can control your content settings and the visibility of your profile in searches. To control who can see your posts, go to Who can see my stuff > Who can see your future posts? and click Edit in the dropdown menu that appears. Then select either Friends, Friends except…, Specific Friends, or just you. Facebook will default to this setting, but when creating a new post you can also make changes to those settings on a case by case basis by clicking the dropdown menu that indicates who will see the post. To control who can send you a friend request, head to the Who can contact me tab. Click Edit. The only limited option here, unfortunately, is to limit friend requests to friends of friends. If you want to control who can find your profile in a search on Facebook, go to Who can look me up? You can limit the people that can find you using either your email address or your phone number to just your friends (or friends of friends). Under Timeline and Tagging you can control who can post things to your timeline and who can see what’s posted on your timeline (whether by you or by your friends). If you want complete control over what appears on your timeline, make sure that Review posts friends tag you in before they appear on your Timeline? is enabled. A handy setting here is the ability to view your profile as specific friends or as the general public. Use it to make sure that you’re not inadvertently sharing private information. When you add a friend to your Restricted List, they won’t see posts on Facebook that you share only to Friends. They may still see things you share to Public or on a mutual friend’s Timeline, and posts they’re tagged in. Facebook doesn’t notify your friends when you add them to your Restricted List. 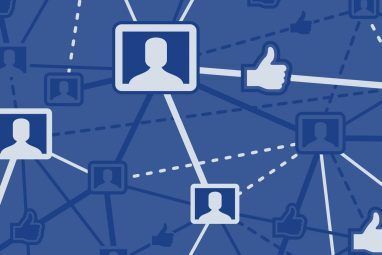 Finally, if you want to stop people you aren’t connected to you from following you on Facebook, under Public Posts and Who Can Follow Me, make sure it’s set to Friends. In addition to keeping your social media profiles private, you’ll probably want to check if your accounts are connected to other third-party services How to Manage Your Third-Party Facebook Logins [Weekly Facebook Tips] How to Manage Your Third-Party Facebook Logins [Weekly Facebook Tips] How many times have you allowed a third-party site to have access to your Facebook account? Here's how you can manage your settings. Read More or apps and revoke access to them. On Twitter, go to Settings > Apps. Facebook’s settings are in Settings > Apps. On Instagram, go to Settings > Linked Accounts on your phone. LinkedIn users can go to Settings & Privacy > Partners and Third Parties. On Pinterest, go to Settings > Social Networks. You can then revoke access to other apps and networks on a case-by-case basis. Even if you don’t want your entire social media life hidden from the public, it’s a good idea to check these settings. Make sure you know who can see what you’re up to. And no matter how private your online presence might be, don’t forget there are certain things you shouldn’t share at all on social media 9 Things You Should Never Share on Social Media 9 Things You Should Never Share on Social Media Be careful what you share on social media because you never know when something could come back and ruin your life. Even the most innocent posts could be used against you. Read More . 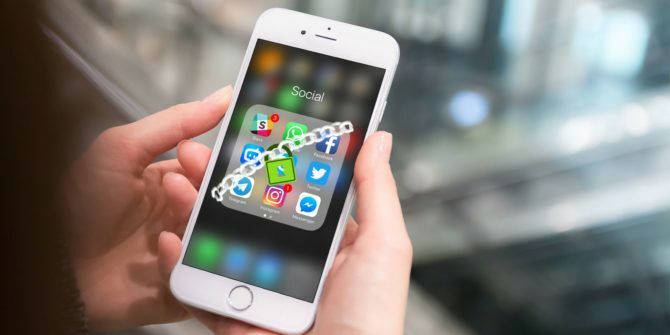 What tips and tricks can you share for keeping your social media accounts private? Let us know in the comments. Explore more about: Facebook, Instagram, LinkedIn, Online Privacy, Pinterest, Snapchat, Twitter.